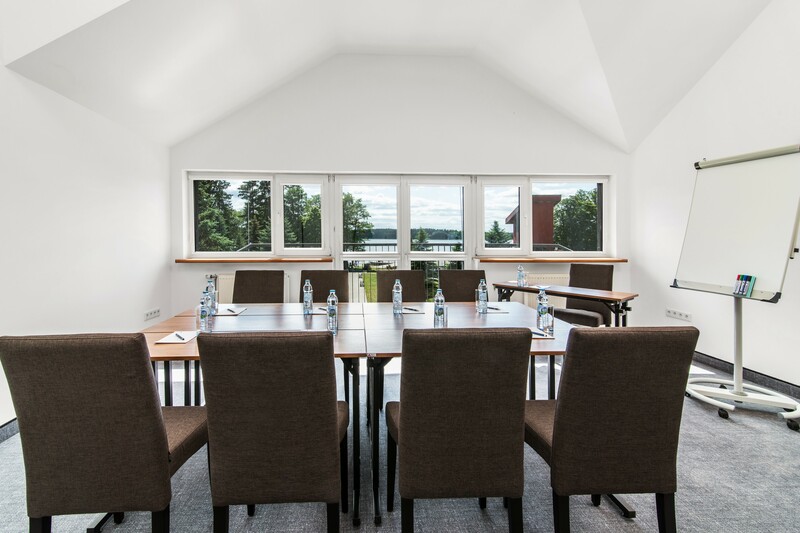 The panorama view of the picturesque Bełdany Lake is one of the top advantages of the View Hall. You can relax on the terrace towering the proud Pisz Forest. The interiors have been arranged in a sheer business style, with subdued colour, so that nothing disturbs the conference participants. The room is destined for smaller groups of 10 – 16 people.